Use this free dog behavior cheat sheet throughout your career as a professional pet groomer. Know the signs of common behaviors, and how to assess various signals and responses. Learn and understand dog behaviors, signals, and signs to keep both yourself and pets safe during a groom. Refer to your dog behavior sheet in your salon, at home, and throughout your dog grooming appointments! 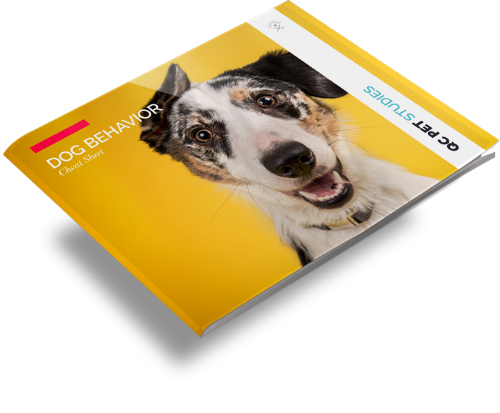 You’ll learn more about dog behavior and temperaments in your dog grooming course, so start today with your free resource. Download your free cheat sheet to use in your career as a professional dog groomer. Refer to this resource to decipher common dog behaviors and appropriate responses, and learn to navigate your grooming appointments with ease.